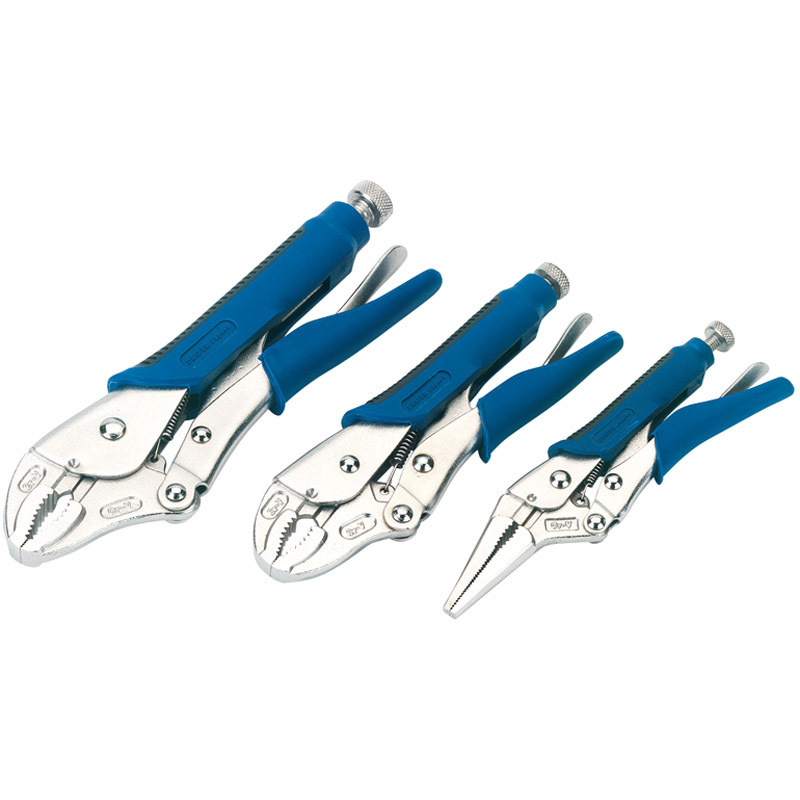 Three piece, heavy duty plier set made from chrome vanadium steel that's hardened and tempered. With serrated gripping surfaces, adjustable opening and a quick-release lever. Attached with soft grips for added user comfort. Display packed.